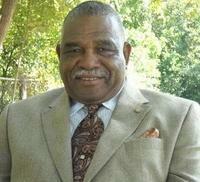 Vernon Charles Jackson is a gifted Bible lecturer, church leadership developer, and workshop presenter. He has been a member of the Christian Church (Disciples of Christ) for over 40 years. He became actively involved in church reform and revitalization early in his ministry, and continues to work in this area with pastors and leaders of the church throughout the Texas Christian Missionary Fellowship. His service and involvement in the Christian Church includes serving as president, vice president, and director of the presbytery of the Texas Christian Missionary Fellowship, from which he retired after 28 years of service. Before his retirement in 2003, Rev. Jackson served as the Senior Pastor of New Fellowship Christian Church in the biblical city of Palestine, Texas. Rev. Jackson has received many awards for outstanding service to the church and the community. He is also the author of three unpublished book manuscripts entitled “Thy Neighbor As Thyself”, “The Lord’s Question … My Answer”, and “Deacons …Organized to be Servant Models”. A native of Louisiana, Rev. Jackson resides in Dallas with his wife, Gloria.